The 43rd Annual Festa di Santa Rosalia, the “18th Avenue Feast”, returns to Bensonhurst from Thursday, August 16th through Sunday, August 26th. 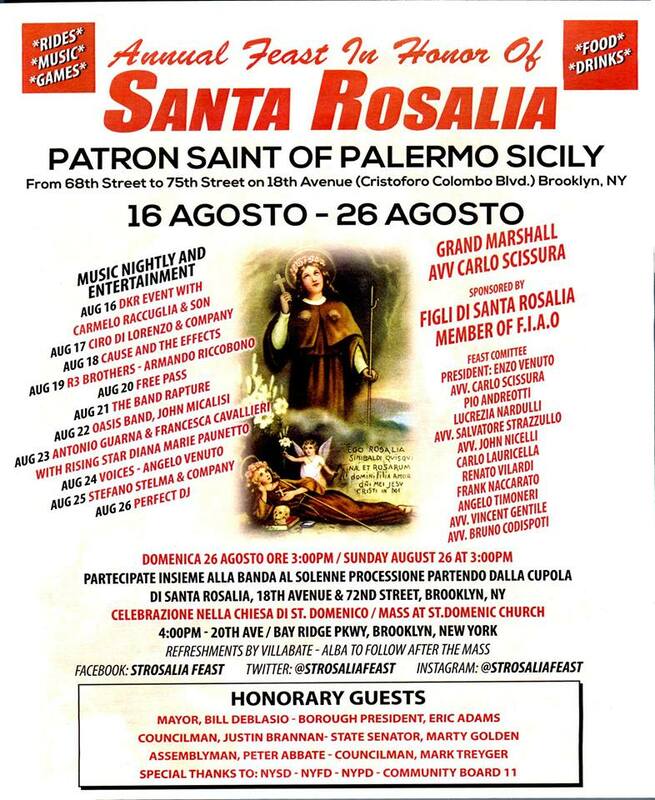 The festival is held in honor of St. Rosalia, the patron saint of Palermo, and takes place on 18th Ave between 68th St and 75th St/Bay Ridge Parkway. The festival features delicious food and treats, carnival rides for all ages, nightly music, carnival games, vendors, and much more.